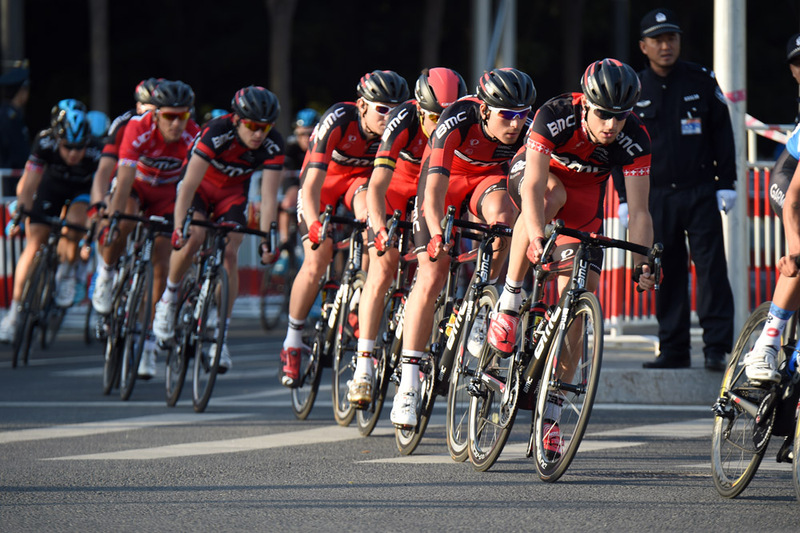 Philippe Gilbert (BMC Racing) won the 2014 Tour of Beijing on Tuesday after safely navigating the fast final stage to the Bird’s Nest Piazza with his overall lead in the race left unchallenged. Sacha Modolo (Lampre-Merida) took the stage win ahead of Greg Henderson (Lotto-Belisol) in second and Edvald Boasson Hagen (Sky) in third. British sprinter Ben Swift finished eighth after assisting Sky team-mate Boasson Hagen. The bunch sprint for stage honours almost didn’t happen after the day’s two-man escape managed to evade the clutches of the peloton until the final 500 metres. 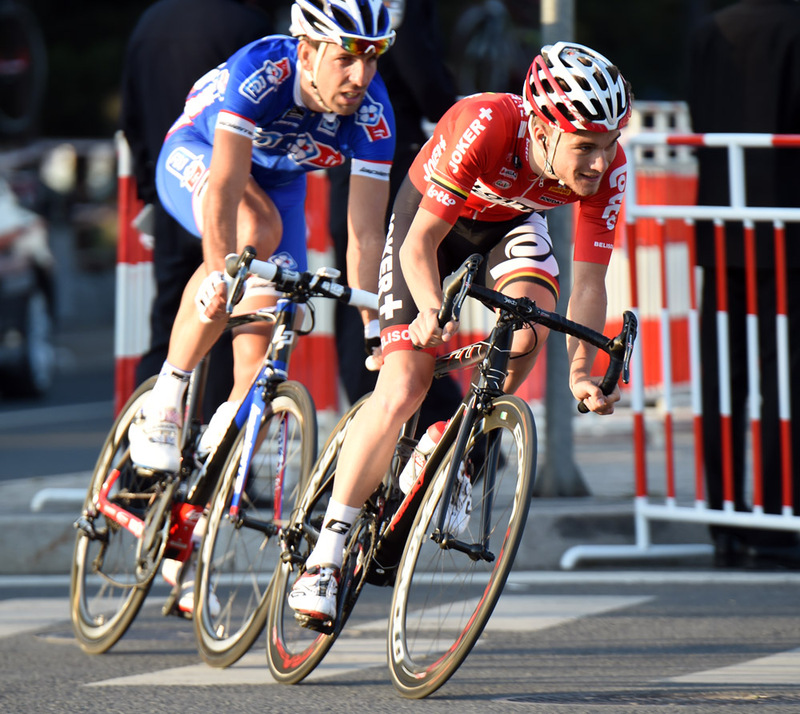 Laurent Mangel (FDJ) and Tosh Van der Sande (Lotto-Belisol) narrowly missed out on scrapping for the victory. Tyler Farrar‘s fourth place on the final day netted the Garmin-Sharp sprinter the points classification after he won stage three. It’s Farrar’s final appearance for Garmin-Sharp in the WorldTour, as he joins Professional Continental outfit MTN-Qhubeka for 2015. Brit Simon Yates (Orica-GreenEdge) crashed during the stage and ended his inaugural season in the WorldTour with a few scrapes and bruises as a souvenir. There was no change to the overall classification on the final day: Gilbert ended the race three seconds ahead of stage four winner Dan Martin (Garmin-Sharp) and nine seconds ahead of Esteban Chaves (Orica-GreenEdge). Chaves also won the best young riders classification. 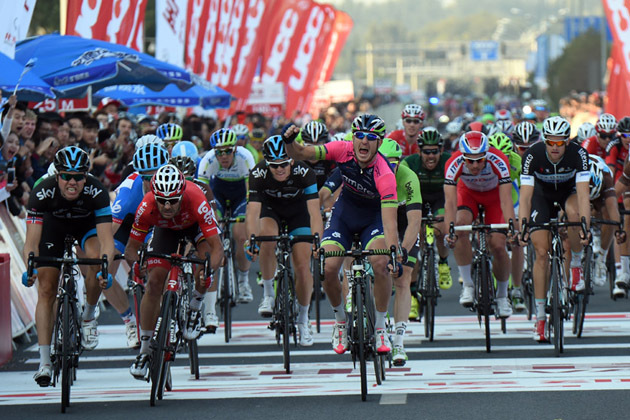 Not only is that the end of the 2014 UCI WorldTour, but it is also the end of the Tour of Beijing. The race will not return next season after UCI president Brian Cookson decided not to continue with the event and disbanded its organiser, Global Cycling Promotion.